Zac Oultram wins the Thundersport A&R Racing/Continental Tyres Pre-National 600 Sport championship with two rounds to spare. 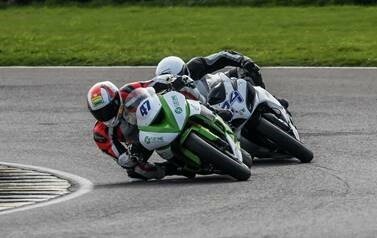 After opening the Anglesey round with a win ahead of Will Harper and Luke Turner, the Ozone Lighting Solutions Sponsored Stockport rider is crowned the 2017 Pre national 600 Champion. The Konect Racing Kawasaki ZX6R rider has had at least a win at every round of the 2017 season. Zac takes the championship with two rounds in the race calendar spare.